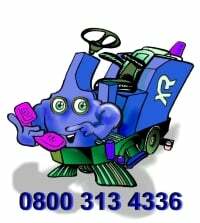 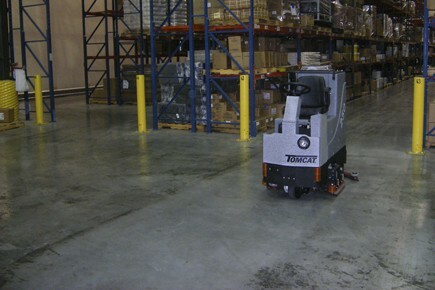 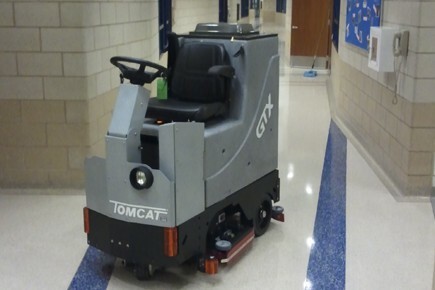 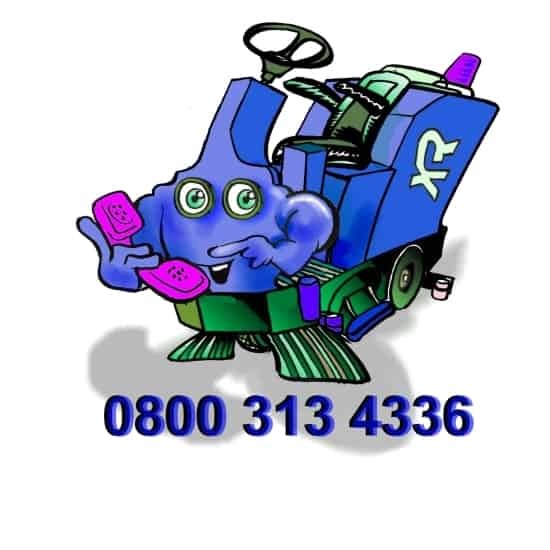 Tomcat’s GTX Ride on scrubber floor scrubber driers are known for robust, durable build quality & powerful cleaning ability, the GTX has simple controls for ease of use with class leading cleaning ability in the harshest environments. 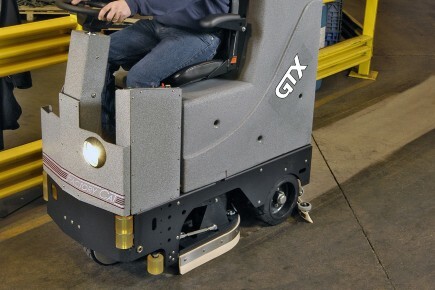 Our models come with the largest battery packs available, giving up to 5 hours run time on single charge, with a 84cm scrub path the GTX can give a maximum cleaning capacity of up to 37,000 sq/ft per hour. 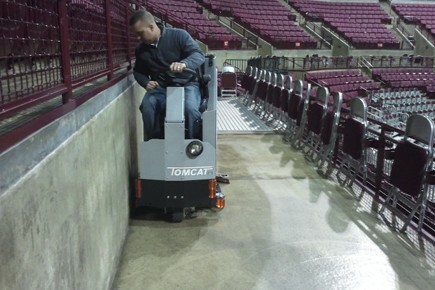 charger depending on the application. 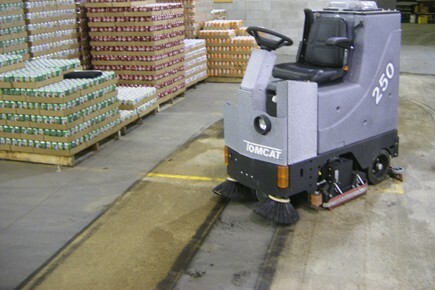 The TomCat scrubber dryer can be seen easily removing the stains & leaving the floor totally dry. 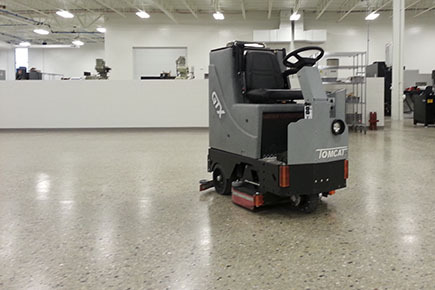 The TomCat GTX has the power to refurbish this scratched epoxy coated floor, using diamond tooling to first remove the scratches & the polish the surface back to a high shine. 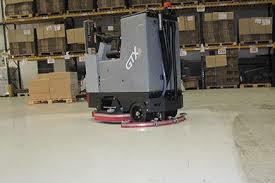 This large new built warehouse needed the dust removed from the floor, the GTX is releasing the water through the powerful brushes and recovering it & the layer of dust from the suction squeegee at the rear. 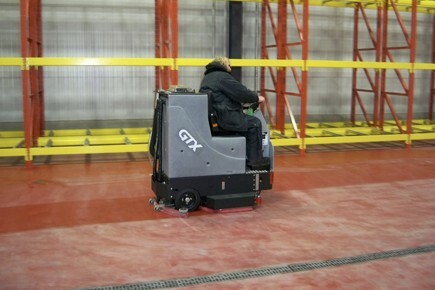 The concrete looks like new & can now be painted or sealed to the customers requirements.